View of “Louisa Clement,” 2017. Photo: Trevor Good. 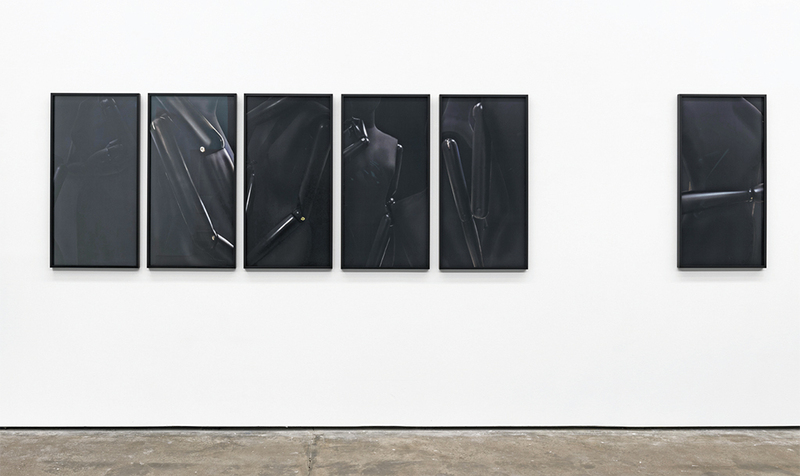 On first glance, it was hard to say what was depicted in these glossy black photographs. They might be pictures of extremely complex devices, perhaps the kind used in scientific experiments, or they could be of fine machine parts or the dissected limbs of an insect under a microscope. These photos were puzzling in a way that made them uncanny, and like all uncanny things, they triggered curiosity and repulsion at once: Did you really want to know what these images show? It could be something unpleasant. 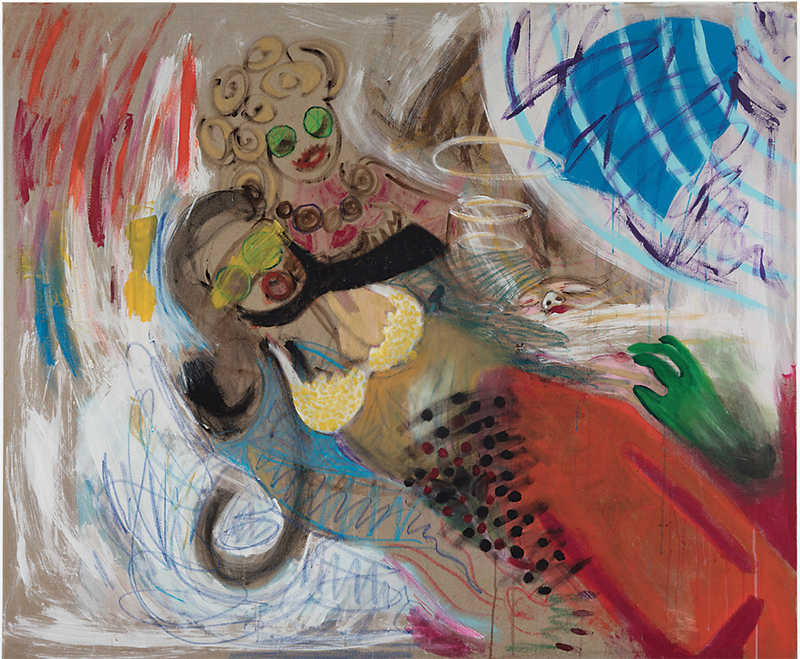 Kamilla Bischof, Showgirls, 2016, acrylic and oil on canvas, 59 × 70 7/8".